UV Master will generate UV coordinates for your ZBrush models in a single click. When using a 2D map with a 3D model, the model must have UVs, which are 2D coordinates needed for your texture to display accurately on your model. UV Master creates the necessary UV seams,then unwraps and packs the UVs to make best use of the texture area. The result is an optimized UV map which is understandable to the human eye allowing work on the corresponding texture in a 2D painting software like Photoshop. Using this plugin is easy, fast and efficient and will reduce UV creation to a few seconds and a couple of clicks. The process is by default fully automatic but there are options to enhance the UV map generation such as the Polygroups option or the Control Painting feature. As UV Master uses advanced Unwrap algorithms, if you wish you can create your seams in a different application (and optionally do a basic unwrap to create the UVshells), and then use the plugin to generate new and fully optimized UVs. With UV Master, you will be more productive and your time previously lost in manual UV editing will be available for more painting or sculpting! UV Master is automatically installed with the default installation of ZBrush. To install, simply run the full ZBrush installer again. You can find a PDF version of this documentation in the Documentation folder of your ZBrush installation. To create the UVs in a simple way is very easy, especially when you don’t need to do specific post process. For this short tutorial, we will use the nice model provided by EOF3d (Eugene Fokin), a member of ZBrushCentral, available at this URL: http://www.zbrushcentral.com/ showthread.php?p=591585#post591585. After downloading the file, extract the archive and load the famme_shared3.ZTL file. Note: if you are using ZBrush 4R7, open the model in the 32bit version first and re-save as a ZTL. The model will then open correctly in the 64bit version. In the Zplugin palette, open the UV Master plugin. 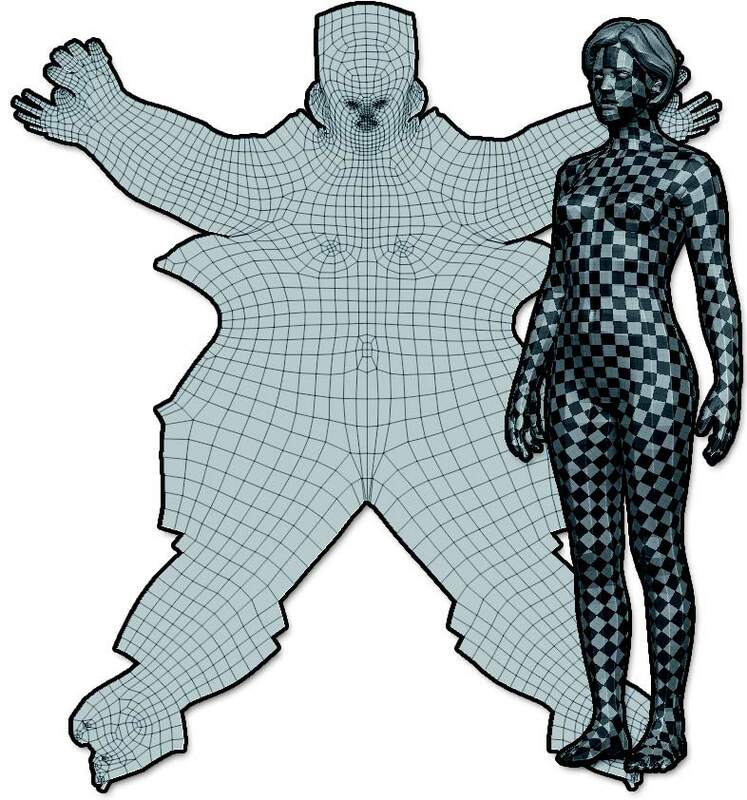 Go to the lowest level of Subdivision for the body SubTool. model at this level of Subdivision. (Optional but strongly advised) Click on the Work on Clone utility: you will be working on a clone of your object without subdivision levels or polypainting. Leave the default options of the plugin. The options on the right of the Unwrap button. Press the Unwrap button to launch the unwrap process. After few seconds, statistics in the progress bar area will notify you of the end of the process. The message which informs you of the end of the UV unwrap… just 0.15 seconds! Note: The placement of the seams may change and can be placed on the front of the model. See the Control painting (Chapter V-2) for more information about improving the UV seams placement. In orange, the UV seams created by UV Master, visible through the Check Seams mode. (Optional) If you worked on a clone (see step 3), click on the Copy UVs button in the Utilities section of the plugin, select your original Tool or SubTool and press Paste UVs in the Utilities section of the plugin. In the Tool >> Texture menu, load a texture map with a checker pattern. The checker map loaded in the Tool >> Texture menu. Select the hair and redo the previous steps to regenerate the UVs. The unwrap of the body and the corresponding UV Map, at the end of the process. 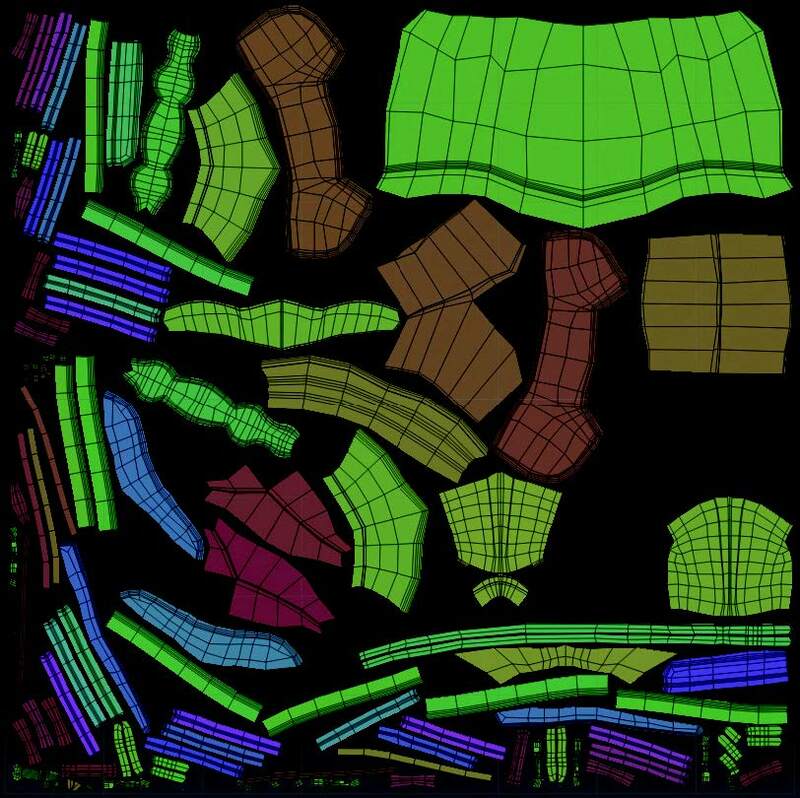 The unwrapping of UVs has always been a technical operation during the 3D creation process, far from artistic creation. With UV Master, we tried to reduce the technical aspect of the process to its minimum. With most models, a single click on the Unwrap button will do the operation and will produce UV maps ready to be used. This section summarizes the important points when unwrapping with UV Master. 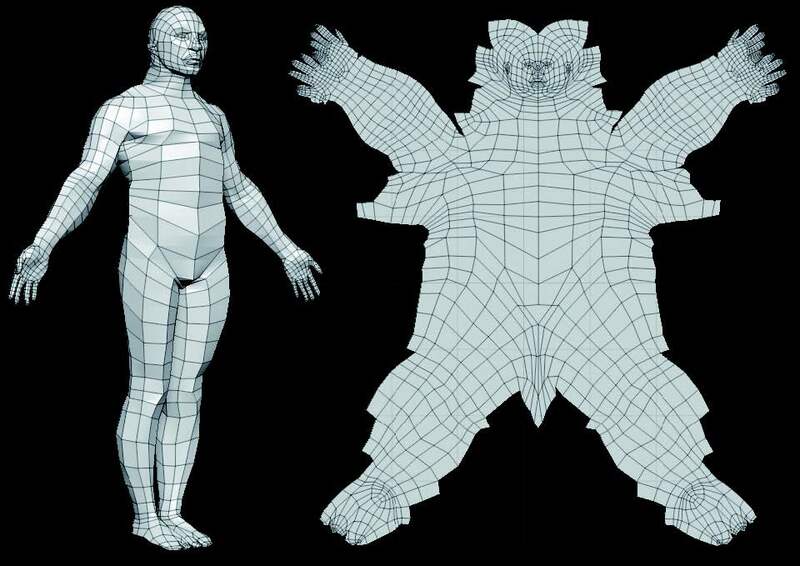 It will help you better understand the UVs resulting from the process. Depending on the geometry and topology, the automatic unwrap can have a processing time which varies from a couple of seconds for a low polygon mesh of 3000 polygons to up to 5 minutes on 150 000 polygons complex models. The number of tunnels and handles increases the processing time. (see chapter 6.2). A progress bar is displayed during the unwrap process and will display several statistics upon completion. This simple-looking model, generated by a Remesh is the perfect example of a model which will be long to process: it has approximately 70,000 polygons and includes a lot of holes. The processing time has been of 40 seconds on an Intel Core2Duo at 3Ghz. Creating several polygroups would drastically reduce the computing time. wait until the end of the process. Other solutions exist which can create automatic seams, like the A/G/PUVtiles of ZBrush. While these methods result in distortion-free maps, they create a lot of different UV islands which make editing of the resulting UVs or the corresponding texture in a 2D editor hard or even impossible to achieve. By using the plugin’s Ambient Occlusion feature to attract the UV seams, UV Master will try to place the seams in the least visible parts of the model, in most cases making ready-to-use UVs for 2D work. UV Master has been designed to be a 100% automatic solution (with a few optional settings) though the result may be different from what a UV specialist would produce. But for most of an artist’s needs, the plugin will produce UVs ready to be used in production or as a very good starting point for advanced UV editing. UV Master includes simple manual UV editing after the unwrap has been done by allowing the model to be flattened and then tweaking the UVs. It doesn’t include manual UV seam placement; UV Master has been designed to be primarily a UV creator, not a UV editor. This chapter title may be obvious for most of you, but when expecting a result, it shouldn’t be a surprise if the face of your character has a UV seam in the middle of a face. The plugin can’t know if it’s a face or something different. your model from UV seams or drive them where you would like them to be. The placement of the UV seams can drastically change the result of an unwrap. To help you understand how the plugin places them, you need to know that it tries to place them on the cavities of the model. It will also try to join the extremities (like a horn, or the fingers) to reduce UV distortions. 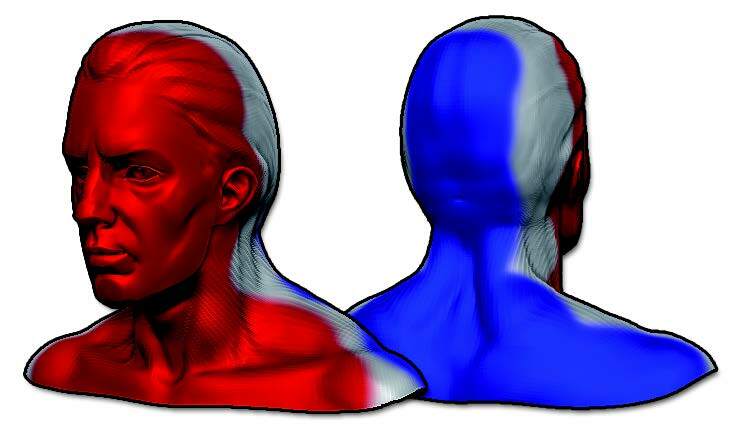 This means that if the internal part of the mouth and the throat of a model have been sculpted, the plugin may create an UV seam from the top horn in the middle of the forehead directly to the extremity of the throat. UV Master will make them go through this new potential path, but it won’t prevent the creation of seams on other parts of the model which are not protected. The plugin always tries to find the best ratio between seams creation, placement and UV distortions. The Attract system is not a seam positioning system like classic UV Unwrap software. Protecting all the model and painting an Attract area may be close to a result made with another UV unwrap solution, but it won’t mean that the seams will fill only the painted drive area. When an edge shares more than two polygons, the object becomes “non-manifold”. 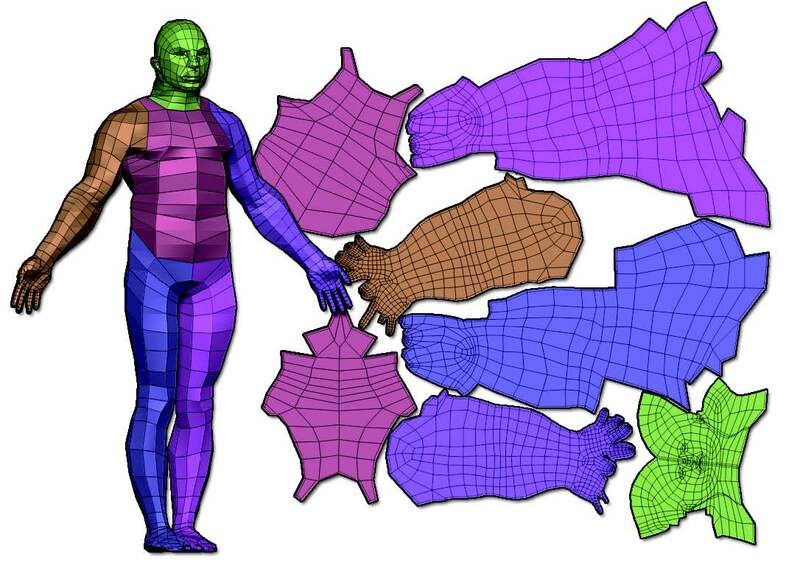 This kind of topology may appear when using the ZSpheres 1 Adaptive skin on complex ZSphere structures. When UV Master finds such edges, it will add extra UV seams to split the model on this area. It’s recommended to avoid such topology, even for sculpting purposes. Some objects can have tunnels, holes or handles and such topology is problematic to unwrap. Imagine a Mug: the handle and the body of the mug are in one part, and if you want to unwrap this object you will have to cut the handle (or another part) to do the unwrap. Another example is provided in the ZBrush sample files: the DemoSoldier props: the backpack has two handles and so it must have an extra cut to be unwrapped. 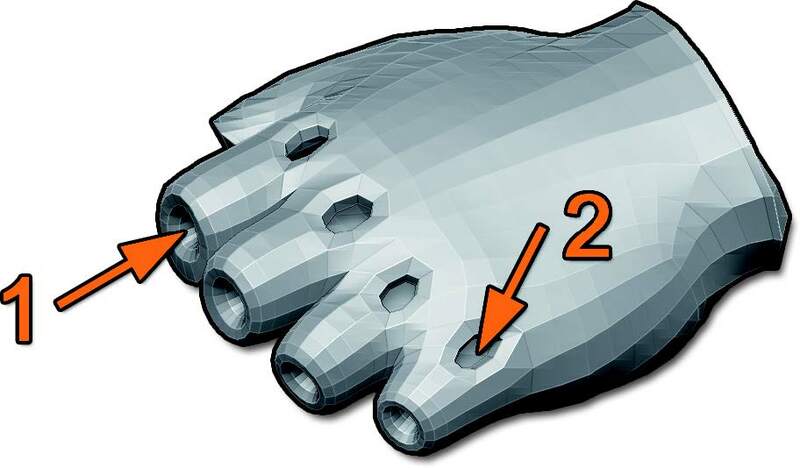 The glove is also a typical problematic model: it has a thickness, holes and tunnels. Unwrapping such model will create extra UV seams in those areas to make the unwrap work. Even with such special areas, for most models the automatic unwrap will be able to do its task in a short amount of time while manually doing this operation would require considerable UV knowledge and some serious brainstorming! To reduce the need for extra cuts, creating polygroups can improve the result. The tunnels (1) and holes (2) on the DemoSoldier gloves. The DemoSoldier backpack. On the left, the computed seams with cutting seams on the bottom of the handles. 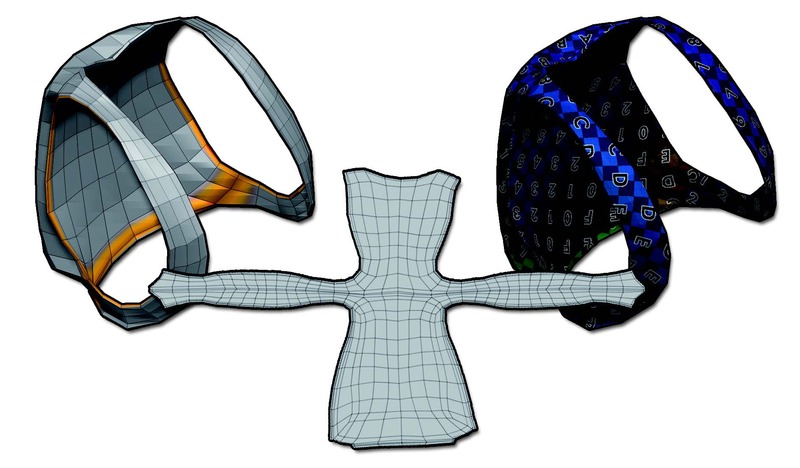 On the middle, the result of the unwrap and on the right, the model with an UV checker map to visualize the result. The computing of such topology can take a longer time than a usual unwrap. The more handles and tunnels the model has, the longer it will take the plugin to do the unwrap. The Control Painting is only partially taken into consideration on tunnels and handles: Protect will work depending on the geometry and how the area is painted; Attract will not have any effect. Density is fully functional. 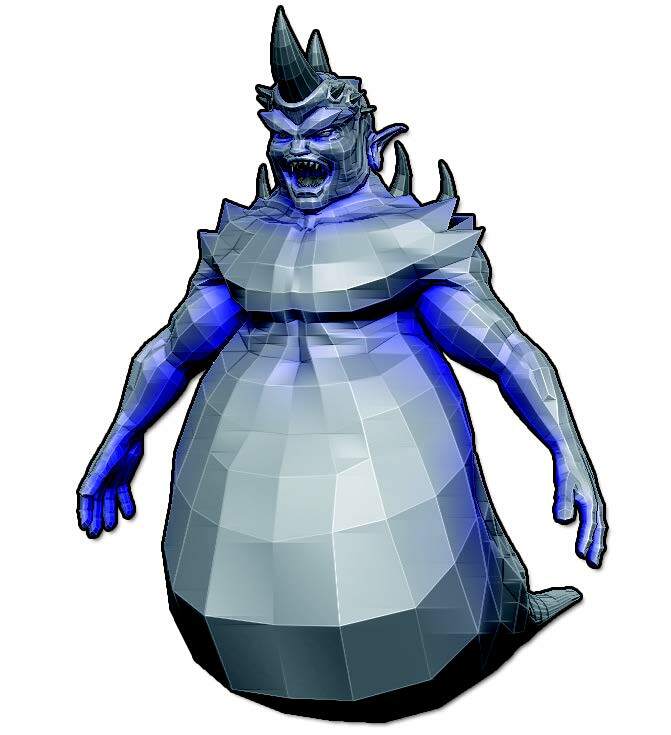 UV Master has been designed to work on low polygon models with a recommended limit of 100 ~ 150,000 polygons. On a higher polygon mesh the computing can take time and may request a large amount of memory. Using polygroups will increase the speed of plugin operation and reduce memory usage. Models generated from a ZSketch, based on the Unified Skin can have a high poly count and a very large number of polygroups. 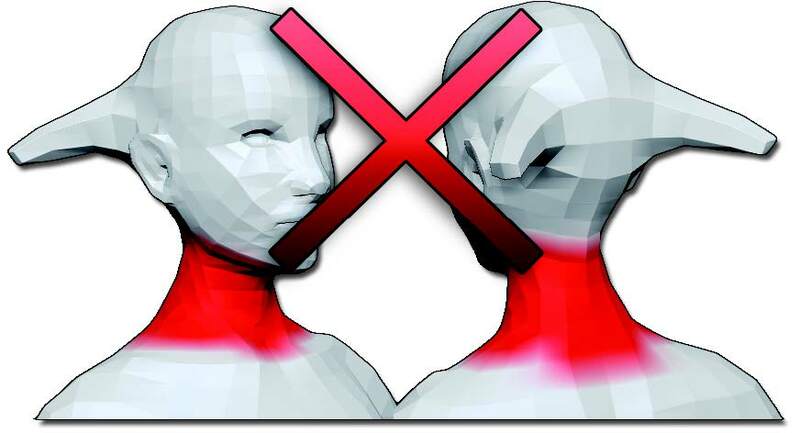 If possible, reduce the Unified Skin resolution. Note: A high polygon mesh combined with holes and tunnels (see previous section) can result in a longer process. Such models can be the result of a Unified Skin over a ZSketch model. To reduce this processing time, try creating polygroups and reduce the polygon count if possible. UV Master packs the created UV islands to optimize the UV space. It will scale, rotate and move them to use the maximum space, but will always maintain the ratio between the UVs and the polygons. The plugin also uses the UV Border value located in the Tool >> UVMap submenu to set the space between the UV islands. The UVs of a complex model packed in the 0,1 UV space. To preserve the symmetry of the unwrapped models as much as possible, UV Master may need to split a UV island into several parts to avoid extra distortions of the model. Disabling the Symmetry option will avoid this extra UV split, but it will result in nonsymmetrical UV Islands. When a model has different objects merged together resulting in one unique Tool, like the Rhino model available as a ZBrush sample file with its nails, horns, etc, each object will be unwrapped separately and packed in the UV space. Then the minimum number of UV islands created will be the number of objects unwrapped. Work on Clone, located in the utility section of the plugin. the current Matcap to the Skin4 Material. This step is strongly advised, though not an obligation, because when using advanced options like Control Painting any existing polypainting will be lost. It also avoids unnecessary reprojection of details when the plugin manipulates internal files, such as when using the Flatten or Unflatten utilities. But if you just want to create UVs on your model in a single click, without editing or checking the result, working on a clone is not necessary. That’s why the Work on Clone is an option and not a default mode. When the unwrap process is done on a cloned model, simply use the Copy UVs utility to copy the model’s UVs into memory, then select the original Tool or SubTool and press the Paste UVs utility to transfer the new UVs to this model. This is also another way to copy the UVs to various models which have the same topology and vertex order. The Copy and Past UVs, located in the utility section of the plugin. To create a more predictable result in your UV unwrap, some options can be enabled or disabled, or a simple preprocess can be applied by providing some directions to the plugin. Nothing is better than the human eye to know where a model has to be split, or which areas to be protected. Unwrap all is doing the same operation as Unwrap, but on all visible SubTools, by using the full automatic unwrap. This action is perfect when you want to unwrap a large amount of SubTool at once without the need to protect or attract the seams. By activating this option, the UV unwrap will try to produce symmetrical results on the UV island. On some specific models, to preserve the symmetry, the plugin may cut the UV island(s). Note: The plugin tries to preserve the symmetry as much as possible, but it may not be kept on some models. If the UV seams positions are not symmetrical, then it won’t be possible to have a symmetrical unwrap. This option is only for those models which are to be unwrapped by the plugin without computing the seams: for example, loading a model which has topology seams created by cutting the topology in another software or loading a model which already has existing UVs. The plugin will use these topology seams or UV islands to compute new UVs, using the powerful algorithm of UV Master, which produces UVs with minimal stretching. By using this mode, you can use Density Control painting, but the Attract and Protect modes won’t be taken into consideration by the process because they are useful only for UV seams creation. The new optimized UVs will have the same UVs islands, but the shape of the border of these islands will be different from the original one. In other words, the actual cuts of your model will be the same but the UV unwrap can be completely different. 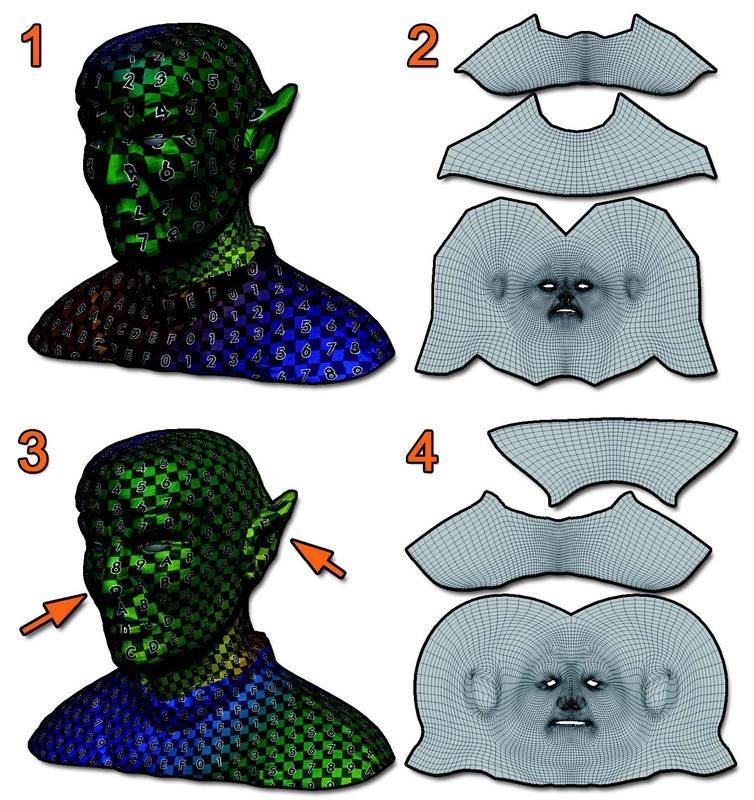 This famous Vulcan head model has UVs made in another 3D package (2). It shows a lot of distortion on the nose and the ears (1). By using the UV Master algorithm and preserving the seams, the new UV Unwrap (4) generate less distorted UVs, visible on the nose and ears (arrows, 3). Note: If the model has a specific topology like handles or is just a closed volume with no topology cut or existing UV islands, UV Master won’t be able to create an UV unwrap without overlaps. When this option is activated, the Symmetry and Polygroups options are disabled. Using this option will create UV islands defined by the existing polygroups of the model in order to improve packing in the UV space. It is also another solution to better organize your UV unwrap and minimize some distortions. The DemoSoldier with each polygroup unwrapped. Using the polygroups will improve the speed of the process. Please, before using this option, check your existing polygroups. By default, ZSpheres models or ZSketch models have automatically generated polygroups and having too many polygroups may create too many UV islands which makes the generated UVs hard to understand for future editing or texture creation. Don’t forget to use the various polygroup options to create them in a quick and efficient way through masking or Polypainting. It is also advised to use the Tool >> Visibility options to ensure that no extra isolated polygroups exist. To improve the quality of the UV unwrap, UV Master uses a Control Painting system which will allow you to provide extra information to the plugin, resulting in a more controlled result. To use this system, press the Enable Control Painting option. It will activate the painting modes. For better visibility of the Control Painting, it is advised to use a white MatCap or use the Work on Clone utility. Control Painting is based on three operations: Protect, Attract and Erase for the UV Seams placement and an extra Density mode which can change the density of the UVs to modify the pixel ratio between the textures and the UVs. All these modes can be combined and used by the unwrap at the same time. This mode will let you paint areas where you don’t want to have seams at all. An example would be to paint the face of a character. 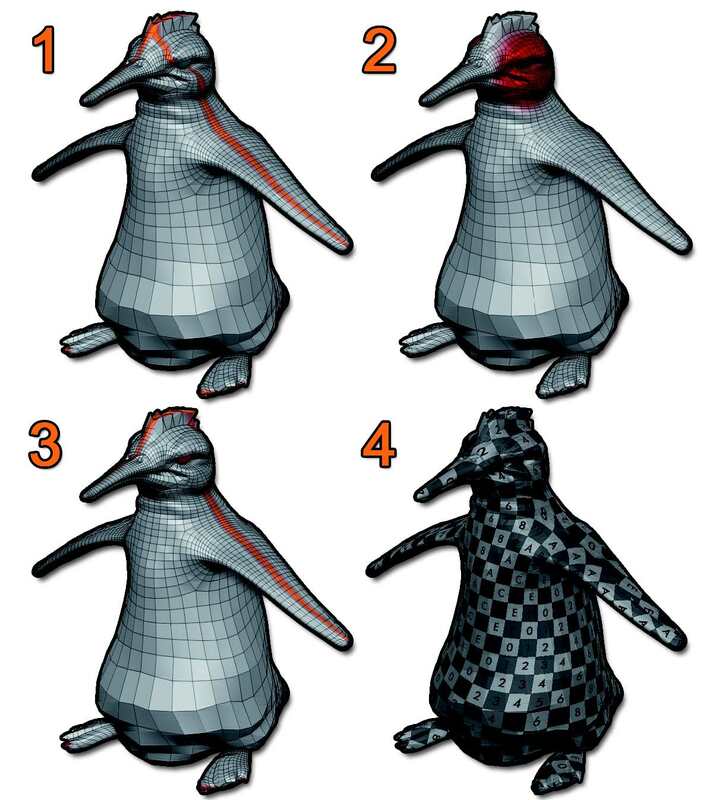 By default, UV Master will add a seam to this penguin in the middle of the eye area (1). Protecting this area with Protect Control Painting (2) will avoid creation of the seam in this part with a new Unwrap (3). The generated UVs (4) with an UV checker map provide a good preview of the UVs. UV Master will use a value between 70% to 100% of the color value to protect the area while a lower value won’t be taken in consideration, meaning no protection for the UV seams creation. a seam, even if an area is protected. The neck is fully protected and then, in this case, UV Master will add an extra seam to make the unwrap possible. This user error can be easily corrected by erasing a part of the Protect control painting or by painting an Attract area (see below).area on its back part. Note: By protecting areas, you can make some UV seams non-symmetrical. 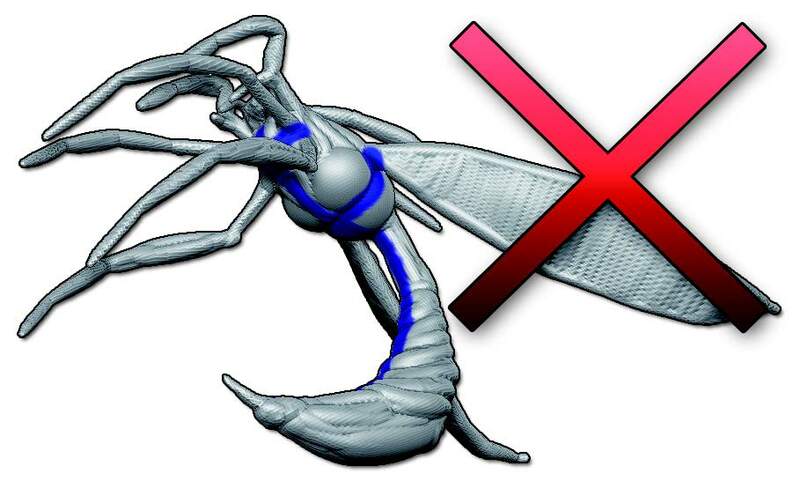 Please use the Attract option below to improve the UV seam positions. in the same painting control map. Change the intensity of the Attract color by changing the RGB intensity slider: a low value mean less seam attraction while a high value mean more seam attraction. For this mode, a value of 100% is advised. Non-painted areas do not mean that no UV seams will be created in them: UV Master will drive UV seams to an Attract area, but won’t prohibit them in non-painted areas. The Attract mode used in the wrong way: painting accurate seams with the Attract mode like you would do in a traditional UV unwrap solution isn’t advised. These two Control Painting modes can work together and most important, are designed to work on areas. One of the best ways to use them is to paint a large area with Attract mode to indicate to the plugin that seams are allowed in that area and paint with Protect mode an important area to forbid seam creation. The demo head with a Protected area on its front part, and an Attract area on its back part. 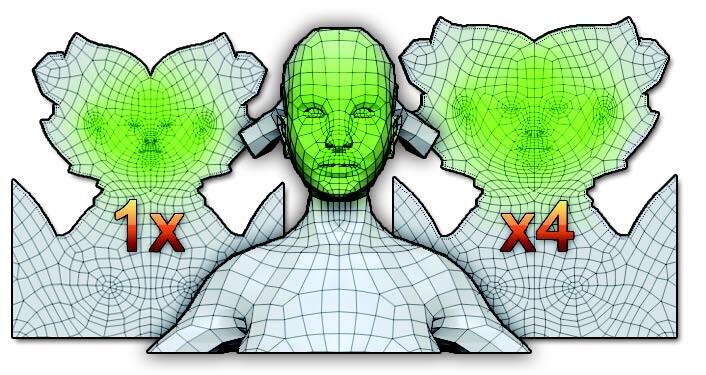 On the left, the unwrap of the Demo head with no Attract and no Protect: the unwrap produced very good results, but the UV map is difficult to read. On the right, with the Protect and Attract painted from the illustration above, the result is easy to read and then paint over. With just a couple of fast strokes, the unwrap understandability has been drastically improved. This tool will compute a dedicated Ambient Occlusion and will convert it to an Attract Control Paint. As the seams are naturally placed in the less visible parts, it will improve the position of the UV seams where they are less visible. Attract from Ambient Occlusion: the UV seams will be attracted under the arms on this model. This mode will let you erase the Control Painting done with the Attract and Protect modes. on the face of a character and less on the back or on the legs. This Painting mode is combined with a Coefficient slider which will affect the color of the painted areas: there are settings from 1 to 4, combined with an operator: multiply or divide. Set the operator first, then choose the value. 1 means 1 times the UV size (no modification), 4 means 4 times the UV size, modulated by the multiply or divide operator. To make the operation faster, preset buttons have been added below the slider. Just press them to set the desired value. The density settings with Density mode enabled on the top and the multiply or divide operator combined with the value slider on the right. Under these settings are the different presets. The painted colors go from Cyan for the negative values to green through white for positive values. Use the ZBrush Smooth brushes to soften the Density color to make smoother transition between values. Don’t forget to turn off Zadd or Zsub if necessary to avoid affecting the geometry of the model. On the left, the original UVs. In the center, a Density painting has been applied, from 50% to 100%. On the right, the result which shows that the UVs of the head are approximately 4 times bigger, providing more pixel space. Note: To erase the parts of the density map, please set the density slider at 1 and paint over painted parts. These three options allow you to save or load the Control Painting information for future editing of the model if needed. Or simply erase the Drive, Protect and Density information stored by the Control Paint. The Load and Save Control maps buttons. UV Master includes several utilities to improve your result or to make your UV work more easier. Please see Section IV of this documentation (above) for these utilities. Flatten will flatten the 3D object into a 2D plane which will represent the UV island(s). This is a good way to visualize the result of the Unwrap in a single click. Because the flattened mesh is a 3D object, you can use the ZBrush brushes or tools to slightly modify the UVs representation. The most common usage will be to use the Move or Smooth brushes to locally tweak or relax the UVs. A common mistake is to use the Smooth brush to relax the UVs. 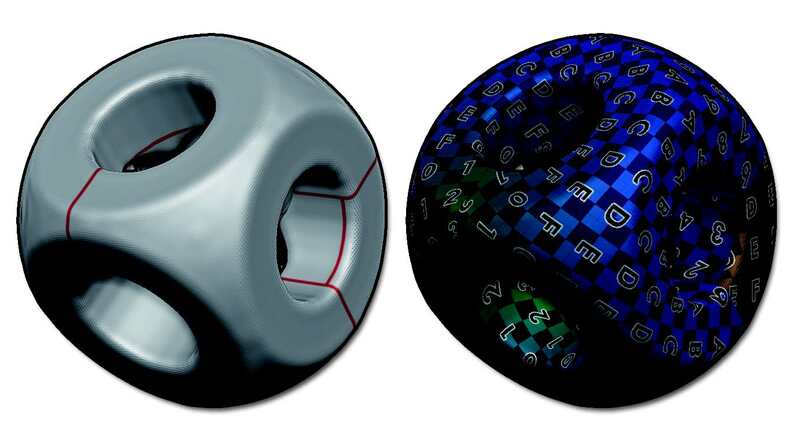 By doing this you will distort the UVs compared to the corresponding geometry, resulting in texture stretching. UV Master preserves as much as possible the relation between the geometry shape and the generated UVs. When the operation is done, click on UnFlatten to restore your flattened mesh to its 3D representation. The DemoSoldier in 3D on the left and flattened, based on its UVs, on the right. Please keep in mind that the Flatten mode is a temporary state of your 3D model. Don’t forget to click on UnFlatten to bring your model back before selecting another Tool or SubTool. Note: If the UVs are moved outside of the 0 to 1 UV space while in Flatten mesh mode, the UVs will be repacked or rescaled to fit the 0 to 1 UV space. It’s not possible to use several UV spaces or create a multi UV map. By clicking on this mode, polypainting will be created on the model which will represent the UV seams. Each time an operation is done which affects the UV seams, like unwrapping another time after changing the Control Painting, the seams representation will be updated. The orange color is used to display the UV seams and the brown color to display the openings. This utility will work with the seams created by the plugin, or with any kind of 3D model which has UV seams. It is different from the UV Check feature that is found in ZBrush’s Tool >> Texture Map menu. The UV Seams visible in orange on the DemoSoldier. UV Master stores Control Painting information in specific files called “Control Maps”. They are stored in the data folder of the plugin during the ZBrush session and are bound to the Tool name. This means that if you load a Tool which has the same name as a previous one on which you applied Control Painting, activating Control Painting on the new one will make the painting appear on it with the likelihood of various color artifacts as the geometry may not be the same at all. Clearing the Control Maps will erase all temporary files, as will a restart of ZBrush. Note: Clearing the maps is also an easy way to erase Control Painting applied on the current model and begin again. If your model already has polypainting, clicking on this utility will erase it. Please work on a clone by using the Work on Clone utility to avoid this! If you need to rework the UV unwrap of your model at a later stage, you can save or load the Control Painting of your model by using the Save or Load tools located in the utility section of the plugin. It is advised to save them with your ZTL files and not in the UV Master data folder because its content is erased at each ZBrush Startup. Density mode can be used without the Use Existing UV Seams option, just by loading existing UVs or a model pre-cut in another 3D software. If you are pleased with the seams generated by the automatic unwrap but not by the pixel density, enable the Use Existing UV Seams option before refining the Density. To soften the Density map, use the ZBrush Smooth brushes: the Density color is polypaint, so smoothing it will make a better transition between different densities. When working on a ZSketch Unifed Skin, increase the Sdns slider value located in the Unified Skin menu to its maximum if your model has small and thin tubes such as those the ZSketchSeacrit demo file (available in Lightbox) has on its back. This will create cleaner geometry and will avoid having a lot of separate UV islands. On the left, the original Unified Skin. On the right, the same model with the Sdns value set to 100. As the arrows show, the quality of the Unified skin is far better, resulting of a better UV Unwrap. UV Master tries to preserve symmetry, but when working on a unified Skin ZSketch model the resulting topology may not be symmetrical. To fix this problem, use the Mirror and Weld function with the appropriate axis, located in the Tool >> Geometry menu. If the model has a lot of stretching in some areas, creating polygroups and then new UV islands on the unwrap will reduce or remove this extra stretching. On some complex models, having a single UV island doesn’t produce the best result. Create polygroups! The more polygroups you have, the better your results will usually be, with less distortion, better UV space optimization and more. This is also a good way to reduce the processing time on models with holes and tunnels. When flattening your model, you can use ZAppLink to work on the model using the 2D editor of your choice. This operation will only work if your Tool has an existing texture in the Tool >> Texture Map menu. It won’t work with polypaint. Check your model carefully for topological issues. UV Master will deal with most of them, but for some topological problems the result may be unpredictable. Use the Check Mesh Integrity utility, located in Tool >> Geometry sub-palette.